Ethekwini Region Begins Water Rationing. The drought situation in KwaZulu-Natal is taking a turn for the worse. This emerged when the MEC for Cooperative Governance and Traditional Affairs, Ms Nomusa Dube-Ncube met with Mayors from affected Municipalities. “Today some municipalities will commence with radical water rationing programmes as part of managing the available water resources. Water rationing means that water production will be reduced and, as a result of this water reduction, less water will be supplied to municipalities. This will have a knock-on effect on consumers who will be given a set of amount of water per day once the water quantum allocated to households is consumed, there will be no water available until the following day when a new amount is allocated. We face a harrowing future if we do not take extraordinary measures to conserve the remaining water. 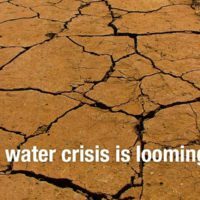 In some areas we are left with only 2 months of water supply and we are just at the beginning of the dry winter season for most parts of our province,” said Dube-Ncube. “We require major changes in policy and consumer behaviour to manage the current water crisis in our province. 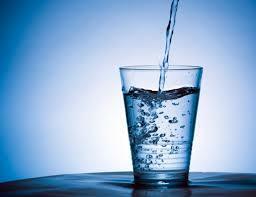 Today, not tomorrow, is the time to begin to change the way we treat water by conserving every drop,” added Dube-Ncube. The public must take ownership of this issue. This crisis belongs to all of us — not just to a handful of decision-makers. Water is our most important, commonly shared resource, but the public remains detached from discussions and decisions about water management and use. We have a problem with rain and dams are getting empty. Water rationing timetables will be issued on a weekly basis and consumers and municipalities are urged to take note of water allocations available and use water sparingly. The less prudent we are with water, the higher the risk of water shortages we will face,” said Dube-Ncube. Ethekwini Municipality, Ilembe (Stanger, Ballito, Ndwedwe) and uThungulu (Richards Bay, uMfolozi etc) Mtubatuba will be the most affected regions. Drought remains severe in KZN! Water Restrictors Not For Sale.